Our facilities have been built and manned with trailer maintenance in mind. The resulting efficiencies are one of the many reasons why customers like having their tractors and trailers serviced at Train Trailer. 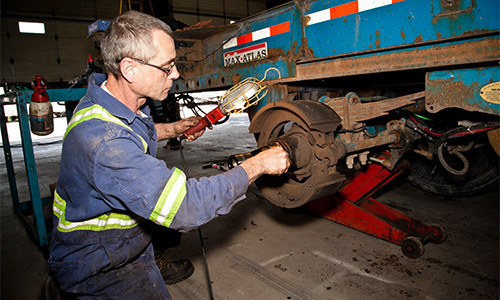 Your assets or ours, we keep your fleet well maintained at each of our locations across Canada. We have the processes and trained technicians in place to turn scheduled and emergency service requirements around quickly. Certified trailer technicians and Class A mechanics are on site and ready to serve from 7 AM till midnight at our Bolton location. 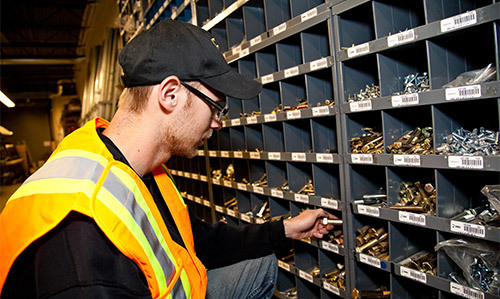 We maintain a comprehensive parts inventory and supplement our in-house service capabilities with established service partners across North America. The purpose of our extensive trailer fleet is to move customers’ goods. It’s our mandate to do everything in our power to proactively manage that. 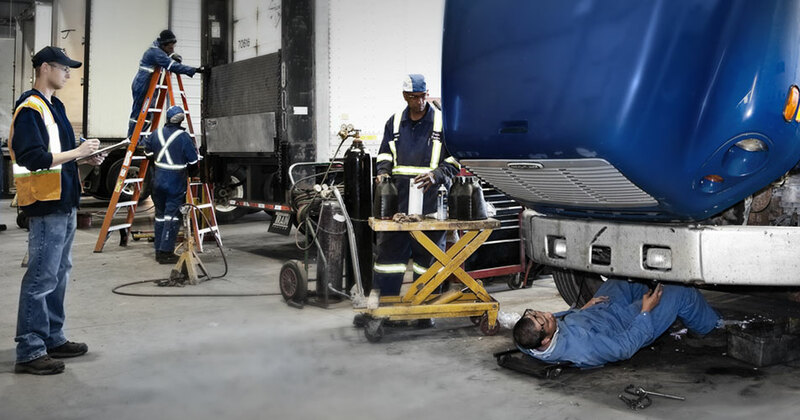 Scheduled maintenance, quality assurance and no cutting corners keeps our fleet operating efficiently. We have full service capabilities at our locations in Toronto, Bolton, Maple, Napanee, Montreal, Calgary and Halifax. We have extended hours of operation for our customers’ convenience. Our well-trained team have a clear objective with each service requirement: we make it right, we make it quick and we bill fairly and accurately, with no surprises! See our contact page for the location nearest you and book your trailer service with confidence. Need a trailer overhaul? No problem! 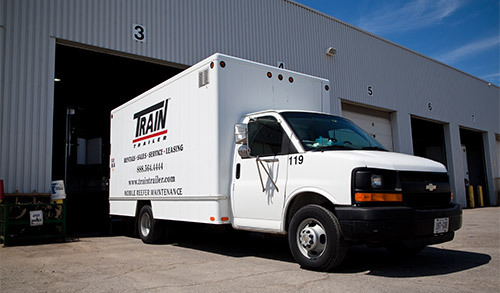 Train Trailer's licensed mechanics will take your old, beat-up trailer and extend its usable lifetime with a complete restoration. Ask us how. Contact Train Trailer today!